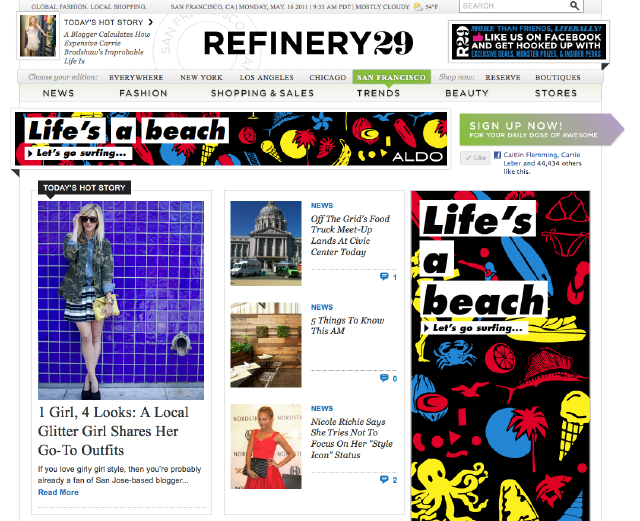 Today I was featured in "1 Girl, 4 Looks" on Refinery 29 (one of my favorite fashion websites)! This shoot was such a whirlwind--I had one day to prep and get the looks together. I kept the looks simple but I felt they still exuded my style. We shot it in San Francisco and although I don't live there it feels like my second home. I'll be there again this weekend for a super fun photo shoot for Glitter Guide! Thanks for all your support on Facebook and Twitter. It means so much to me! Looking so pretty, hun! So excited for you being featured! Delightful! You look chic and beautiful! Can't wait for the Glitter Guide! Love the looks esp the geometric print! I saw your feature when you tweeted about it the other day. Congrats Taylor! such an honor to be featured on that site. I loved all the looks you pulled together for it as well. 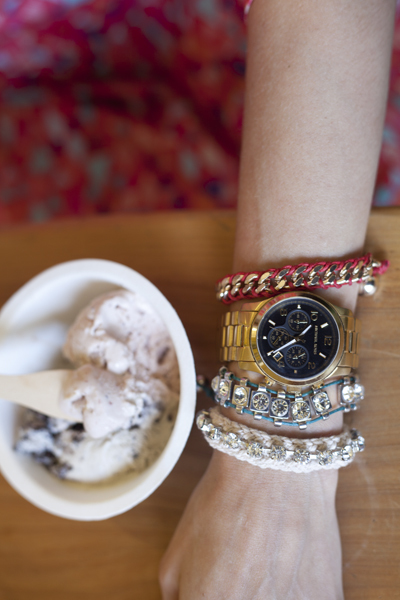 Lovely spread :) Where is your white, short sleeve, button up blouse from??? Love your style Taylor! Jumping over IMMEDIATELY. What a fun spread! Congratulations! I completely adore that last photo of you! i get the daily emails from Refinery and adore their features! loving the casual roughness of your camo jacket juxtaposed to flirty and fun dresses! just got an MAB bag through hautelook (50% off!!) and can't wait to wear it w/ your style as my inspiration! Congrats!! I adore all your outfits, so so cute! Love all these looks! the last one is my favourite! That is so exciting, congrats! Looks like you put together some fabulous looks. Congratulations! The feature looks great. Congrats!!!! :) You look fab! Congrats! You look amazing in the pictures. Congratulations! I think you look gorgeous!! This is awesome Taylor - keep it up. You've really found your voice and it shows more and more. Awesome!